I am so happy that finally I received my first postcard from being a new member of Postcrossing. It came from Russia. It is from Yana and she is 12 years old. She mailed the postcard on the 8th of July. It took 16 days to arrive here in New York. I am so happy to check our mailbox after arriving from work. This beautiful postcard made my day. It has a photo of palace, I think if it I am not mistaken. Thank you so very much Yana for this beautiful postcard all the way from Russia. I do appreciated it from the bottom of my heart. I bought this passport holder from Victoria’s Secret online when they had a semi annual sale for $11.99. I wish it was pink but unfortunately it was sold out. I bought the black color instead. It is perfect for your passport, tickets and identification as well. I am excited for my upcoming trip. This passport holder is already filled with my passport and e-tickets. Five more months and I will celebrate my Christmas birthday after 15 years. I am so excited and cannot wait. I took this photo of the mighty Niagara Falls by the Canadian side while crossing the Rainbow Bridge back to the USA. I wish I could enjoy the amazing view but unfortunately I am alone and my family is not with me. 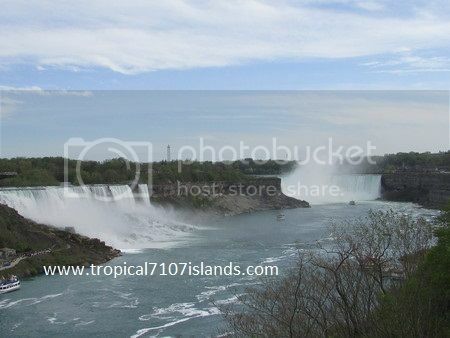 I could take many photos of the mighty Niagara Falls but unfortunately my time is limited. After the book author and reader event from the Marriott Hotel in Ontario Canada, I am thankful that the husband of one of my favorite authors Ms. Chelle Bliss has a generous heart to offer me to drop me back to the Rainbow Bridge and I can walk from there in going back to the USA. I am beyond thankful for these two angels in disguise. My walk through the Rainbow Bridge is not bad though a little bit tiring from dragging my suitcase that is full of books. I paid $0.50 for the toll to cross the Rainbow Bridge back to the USA. The border officer is pleasing to the eyes and let me in without any problems. I just loved how the way he pronounced the hotel named Marriott in French accent. I do not think my family will goes back to Canada. I might be back and make sure that I am staying with a friend all the time.